Pinterest is now one of the top five drivers of referral traffic to brand / product web sites. What is all the Pinterest craze? How can proper use of Pinterest drive traffic to your web site? In short, Pinterest is a highly addictive visual sharing tool where users ‘pin’ items they like onto virtual boards. Think of it as a virtual vision board or even a visual version of your ‘favorites’ folder. The social side to Pinterest is users who follow you or your boards can share (repin) your items onto their boards, creating a viral aspect to the things you like. The kitchen counter top you pinned from Home Depot to your “kitchen remodel” board may inspire another kitchen remodel 3,000 miles away from you. 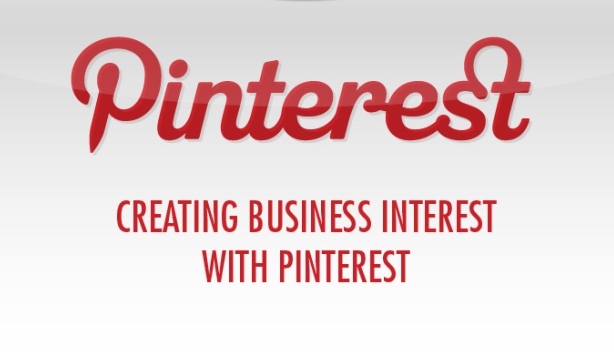 How is Pinterest Driving Traffic? An image is either uploaded by a user or pinned from a web site. Those images attached to a web site will always be connected to that domain name. As users click the image to see a larger size or more information about your kitchen counter top they are taken to the web site in which it was pinned from. Boom, traffic to Home Depot! I started noticing a trend in November with more traffic to my “7 Creative Uses to Recycle Wine Bottles” post. The majority of the referral traffic was coming from Pinterest. I made a mental note and started to watch traffic more closely to other visual and viral images. In looking at the last 30 days of referral traffic to my web site, Pinterest outnumbers Facebook 3 to 1. The 800 million user network was losing the referral game in my world. Rule #1 – Avoid “SELLING” – Pinterest is not about selling, it is about sharing. Let your product images speak for themselves. Users will virally share your product and the referral traffic will lead them to your site. From there, you need a good rule #2. Rule #2 – Develop a conversion strategy. What are you going to do with that traffic once it is on your site. Do you make it easy for users to buy your product, download your recipe, opt in to your mailing list? If done right, you can convert the eyeballs to dollars. Pinterest is still in BETA and will naturally evolve over 2012. It’s easy and it’s fun, but be warned it is highly addictive. Give it a try for your business or brand and watch the referral traffic to your site grow. Below is an infographic from Mashable.com explaining more. While you’re here, follow me on Pinterest.